As you must be aware, India is now making great strides in blockchain technology. The blockchain is becoming a game changer for India. Many corporates are now experimenting using blockchain technology to build India’s economy. Very soon successful implementations will proliferate India’s prominence as a blockchain destination. The 11th edition of Blackarrow’s BBS series BlockMumbai conference will connect global blockchain gurus and technology players with Indian business leaders. It will discuss the opportunities in blockchain in India & also lay the foundation for India becoming a prominent blockchain destination. 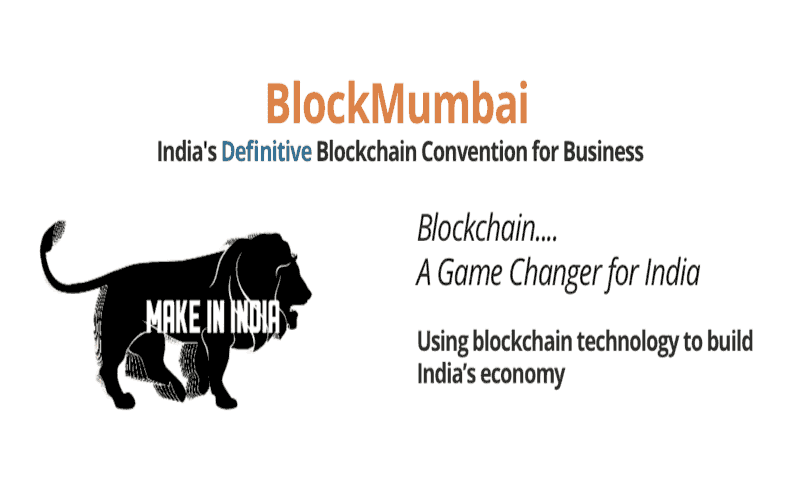 BlockMumbai will be attended by over 300+ experts and corporate stakeholders from various countries including Government, regulators, blockchain professionals, corporate leaders, investors & business leaders. To participate in BlockMumbai 2018, email us at blockmumbai@blackarrowconferences.com. The venue for the BlockMumbai conference is Novotel Mumbai Juhu Beach, an AccorHotels breathtaking beachfront property located in the financial capital of India. Nestled amidst the shores of Juhu Beach overlooking the Arabian Sea. Hotel is strategically located near the airport. There will, however, be a much more valuable opportunity presenting itself at BlockMumbai – an exclusive chance to meet and make one-on-one connections with India’s leading blockchain & government officials who shall be speaking at the conference. For the first time ever, senior blockchain experts from around the world shall be presenting and speaking. And many more to join soon…. BlockMumbai Conference sponsors & partners include the top blockchain associations, Blockchain implementation companies, regulatory and legal companies, financial companies, crypto exchanges & crypto media companies. Exhibit Spaces: BlockMumbai will also present an exhibition showcasing some of the top names in the blockchain industry, it’s a fantastic opportunity to meet the experts and hear their revolutionary views. The BlockMumbai Blockchain Conference is a must-attend for all blockchain leaders, crypto community and enthusiasts who want to combine a luxury vacation with an unbelievable business opportunity. The Blackarrow team is excited to welcome you to the Blockbali Blockchain Conference scheduled for the 17th of November 2018 at The Trans Resort Bali in Bali, Indonesia. See YOU in Bali!